Here is an interesting fact for you: turns out 44% of women and 28% of men think they can just waltz into a vineyard and take a couple selfies while they are on a wine tour. Scrolling through my Instagram I can tell you I am just as guilty as any other wine loving girl with a smartphone. I mean, really; how good do those photos look when you have rows of vines in the background and are surrounded by nothing but lush green grapevine canopy? Right? South Australia is a lucky bit of wine country here Down Under – having always been phylloxera free we have been able to sustain the oldest vines in the country and maybe the world. Phylloxera is a tiny, hardy, yellow insect that can live up to 21 days without water and food and loves to nibble on grapevine roots, causing them to die. And it can hitchhike on your shoes, clothes or tyres. Phylloxera came originally from North America, but is now present in most of the world’s viticultural regions due to phylloxera-infested grapevines making their way all across the world in the late 1800s. As phylloxera kills the grapevine, and there are no chemical or biological controls to stop it, this little pest is considered the worst danger to healthy vineyards. You can imagine we like to keep these little (asexual) guys out of our vineyards, and we have done a pretty good job at that in South Australia over the years. However, these efforts are being threatened by an increase in wine tourism and more ease of travel between wine regions (nationally and internationally), as you can easily, and unknowingly, pick up a phylloxera buddy or two and deposit them a vineyard over. Now, do not worry; you will still be able to get some beautiful pics and have a great wine experience. 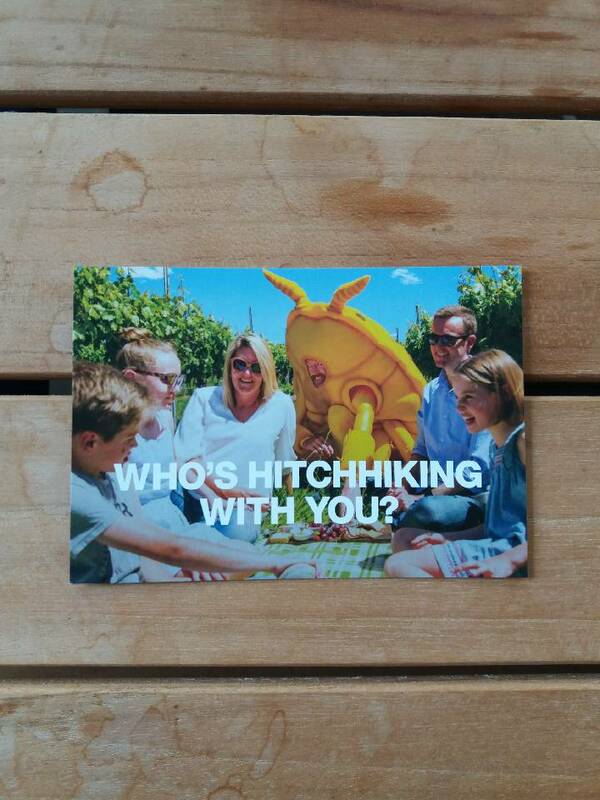 However, winery staff might be directing you a bit more into specific vineyard areas where your potential hitch hiking buddies will not do any damage to our vines. Elevated positions with beautiful views are a good move. Training provided by Vinehealth Australia is educating winery and vineyard staff on the damage the spread of phylloxera could do and how to make sure we all do our bit to not spread it into South Australia. Keep an eye out for the signs you see around vineyards, make sure your shoes are cleaned if you do travel from region to region and always check with winery personnel if you can get that cute selfie with their award winning Shiraz vines in the background.